The sixth of seven children Mr. Forks, was born in San Antonio, Texas in 1957 to a military family. He began a successful career in commercial art shortly after graduating high school. 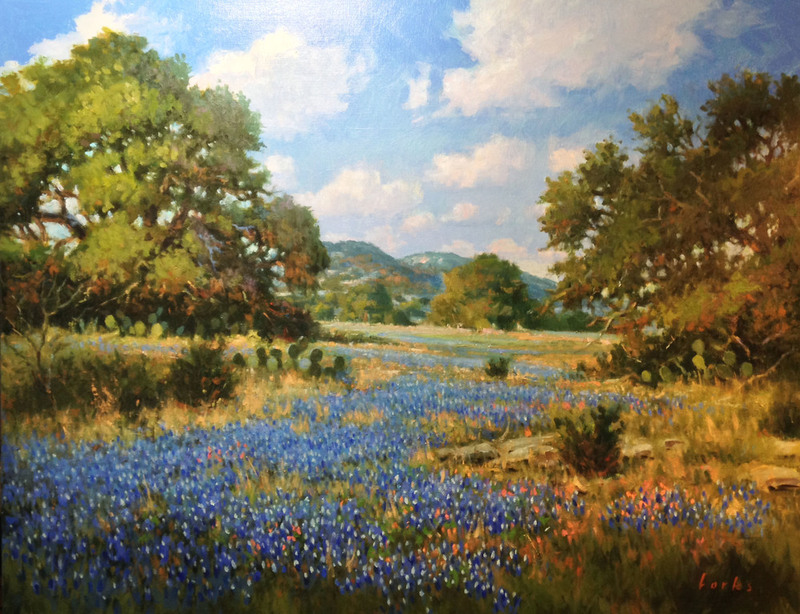 He initially worked and learned production art at River City Studio, owned and operated by San Antonio art legends George Hughey and now notable painter and signature member of PAPA, George Strickland. After River City Studio, he worked as co-producer of Southwest Airlines magazine and as illustrator for Concept Enterprises (the original Koozie company) before venturing off to open his own illustration and design firm. After 20 years self-employed, and the revolution of the digital age, Mr. Forks went to work in the printing industry where he continues today. None of these positions however, fulfilled his real desire to paint. He shelved those aspirations for 30 years while he raised a family of four boys finding little to no time to paint along the way. The untimely passing of an older brother to cancer in late 2006 opened his eyes to the fleeting of time and realization that it was time to make his dream a reality. He now paints on a daily basis in oil and acrylics. His style is ever evolving and varies from very loose and fast to tightly worked pieces. Mainly a landscape painter, he finds inspiration in God's creations everywhere. Mr. Forks currently resides in Spring, Texas north of Houston. My life long dream has been to paint for a living. It is my vocation and my life blood. Now that my children have grown and I have become a grandfather, the time to make that dream a reality is here. 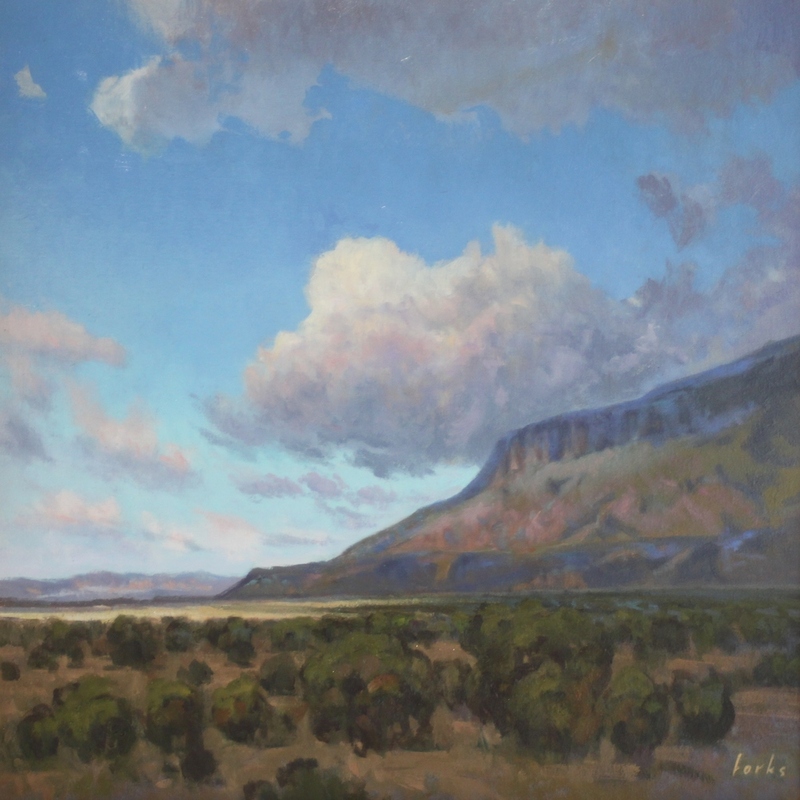 My favorite subjects are scenes of the Texas Trans-Pecos including the Big Bend region and the Texas Hill Country. Click here to shop for art by David.